Another week has begun, bringing with it the European Nintendo Download Update. 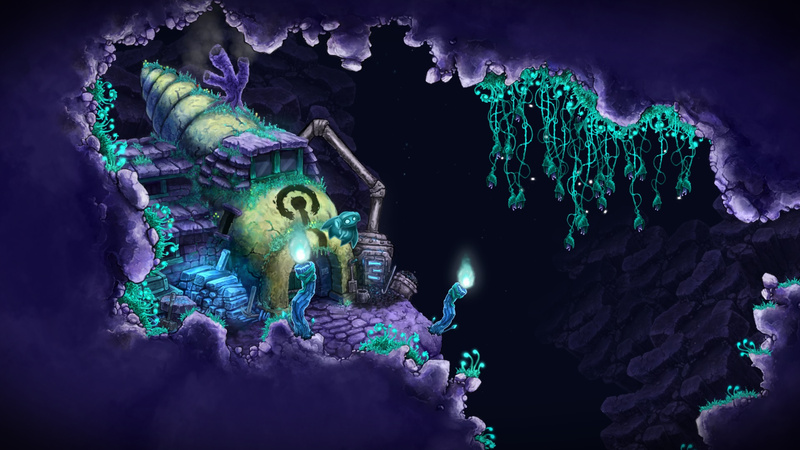 This time around we have a long-anticipated Indie effort on the Wii U, alongside a lesser known title and two DS releases; the 3DS offers a demo, DLC and plenty of discounts. Let's get to the details. Beatbuddy (Threaks, €8.99 / £8.09) - With its title shortened in Europe, this is a music action-adventure game that has an emphasis on rhythm — some moves and key moments need to be timed to the beat. It includes music contributions from Austin Wintory — composer of the Journey official soundtrack — among many others; we're keen to give this a go, and we'll let you know what we think in a review soon. Available from 5th August. 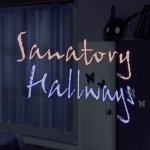 Sanatory Hallways (Wegenbartho, €9.99 / £8.99) - At its core this is a two-player experience, with one character being a flashlight-armed girl trying to escape her nightmare and another playing a ghost tasked with tormenting her, with the spirit being able to set up traps, turn off electricity and more. With additional levels coming in the future as free DLC this sounds intriguing, but we'll see whether it scares us off in a review. Star Fox Command (Nintendo, €9.99 / £8.99) - This DS entry in the iconic series is a little different from its contemporaries, splitting play between tactical battles on the touchscreen and free roaming battles. With plenty of characters and multiple endings this offers a lot of content, though as expected the multiplayer modes are a no-go. We gave this a modest recommendation in our Star Fox Command review. Donkey Kong: Jungle Climber (Nintendo, €9.99 / £8.99) - A DS successor to GBA title DK: King of Swing, this utilises the shoulder buttons for you to swing your way between pegs, collecting items and tackling foes as you go. Gameplay is shaken up with a few quirks, while multiplayer is also included (and will hopefully feature here as it was a local one-cart feature); we'll swing into another review, but in the meantime you can check out our original recommendation of this game. That's everything for this week in Europe - let us know what you plan to download in the poll and comments below. Wow what an utterly disappointing week... again. I'll try the DBZ demo and might pick up Stealth Inc. 2. Still waiting for news of 90's arcade racer and road redemption. Hopefully it shouldn't be to long for freedom planet to come out. Mario Tennis, where are you? Wretched week for 3ds, it just gets worse and worse. Stealth Inc. 2: A Game of Clones will be a good buy at that price though! I've been meaning to get Stealth Inc 2 in the last few sales and never,now is the time. Pretty standard for a summer release. I expect few big releases over August. Well at least more time to go outside and enjoy the few bouts of good weather or work through that backlog! I didn't expect a Dragon Ball Z demo. Might as well play that! What an awful week for 3DS downloads! Even the latest slew of temporary discounts are pretty awful. Roll on next week, I guess. Nothing for me this week. Again. I don't remember the last time there WAS something for me. Now Wii U on the other hand! A decent new indie title, a couple of cool VC entries, and a great discount on a great game – Stealth Inc 2. Nice! I remember seeing BeatBuddy in an indie reel or something here and it does look intriguing - reminds me of the musical parts of Rayman Legends, which is a good thing. Hallways sounds intriguing as well, so bring on the reviews! Nothing AGAIN!!! Fine by me Nintendo, i'll just keep my money. Disappointing - at least I still have Picross 6 from last week to keep me quiet. I love the fact the US tend to get sales on the likes of Atlus games and in EU we get this load of rubbish. I'll grab starfox after festival season once I have money again!! Star Fox Command and DK Jungle Climber for me! Still waiting on Mega Man & Bass though. Man, I've been so hyped about Beatbuddy since it was at EGX 2014, and it was meant to be released back in January. Thank goodness it's finally coning out! Now we just need a release date for Woah Dave! Do people not know about the summer drought? It is the best time to catch up on the loads of games that release over the rest of the year. No one wants this hacky Starfox crap. This makes me think that they truly can't emulate the FX chip perfectly. When is Fantasy Life gonna go on sale. More retail games should go on sale,and not so many indies. @Nintenjoe64 ea owns sim city now so I doubt we will ever see it. @SetupDisk I really didn't enjoy Journey at all. One of the most overrated games I've ever played. Felt pointless and barren for the most part, I had no real idea what I was meant to be doing and because of the random encounters with other players and extremely limited communication it allows, I felt no inclination to interact with anybody else. I'm glad other people enjoyed it but it really wasn't for me. What game is the picture from? When I read "Star Fox" on the title, I immediately thought it was the SNES version and was so happy!!! Is it confirmed if NA is getting that demo this week? I would pay money to find out how many people pay for The Lost Valley's DLC. @FragRed: What, than I guess you totally missed Beatbuddy? It's such a beautiful and great indie game! A platformer totally based on music (every enemy is a part of the song) and for that price it's a must-buy. I already got it on Steam last year but I'll buy it again, just because it's one of my all-time favourite games. And the music content is from guys like Pavrov Stellar etc. Maybe watch a Let's play, that totally blew my mind back then when I first saw it. @Sean_Aaron: I also loved the music levels of Rayman Legends the most or games like Runner2. But Beatbuddy's concept goes way beyond that of a rythm-based game! In the world where Beatbuddy (your character) lives, music is everything. Their whole society revolves around it. At the beginning, the game introduces you into the three elements forming the drums, with the basedrum swinging you forward, hihat crabs that you have to punch so they become dorment for a short period and let you through and the snare streams, which you sometimes have to assemble first. Later, every element of the melody forms an additional enemy/obstacle. It's really something unique! The puzzles are very simple at the beginning of course, but later on it gets really heavy. Then you have huge puzzles where the screen zooms out a bit and you have to figure out the way and interact with several objects/enemies. I guess I'm in the dark on this Beat Buddy game. Is it similar to Rhythm Heaven? Is it also coming to North America? I really enjoy rhythm games so out of nowhere I'm excited. I saw Dragon Ball Z and thought of the past DS games that could appear as VC on Wii U. Or the French releases of the SNES games. wow. people were complaining last week that there were no VC games, and now they're still complaining despite us getting two VC games. Yay! The VC is back! I'll be grabbing both games...whilst looking across at Japan wondering how they are getting so much SquareEnix goodness....I mean seriously...HOW? More Snes games puh-wheeze. Square doesn't care about America and Europe VC now. Probably nothing for me, though I'll have a good look at the Beatbuddy review once that's out. Give us more quality NES/SNES games! I'll likely get Stealth Inc,But not 100% on it yet. In other related news, the guys at nintendo need a new pair of glasses since they don't seem able to see the difference between a wii u and (3)DS. Oh well nothing for me this week. Every time I see a crappy Europe download I know right away it won't be a good one for America either. Just terrible...at least NOE shows more vc love than the morons at NOA!! @Steel76 Unfortunately mate I don't think we will ever see it get a release along with Stunt Race FX and the SNES version of Yoshi's Island due to the FX chip debacle. It's a shame we can't play the original Starfox and it will probably be like that forever! Ah, DK jungle climber. Quite fun, untill I reached the swamp area where I did spin underwater forever and ever. At that point I stopped, though I might continue it someday. This week has some good games for Wii U. Might pick up Beatbuddy, I don't know. Wish the VC games could be cheaper and more frequent.